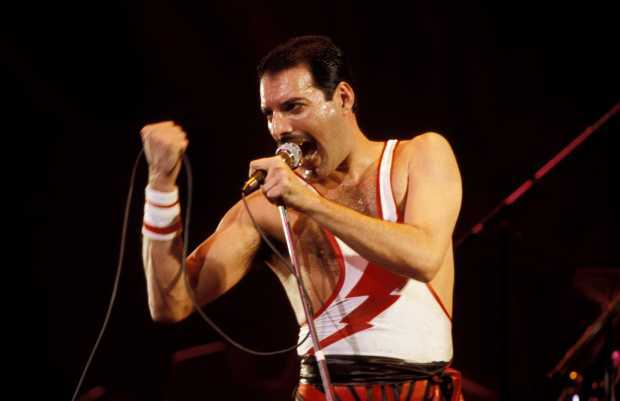 The long anticipated and stalled Queen film is on track for a Christmas-time release, with X-Men director Bryan Singer at the helm, and Rami Malek playing Freddie Mercury. But Malek’s, and the film’s, success will be measured on far more than overall aesthetic. 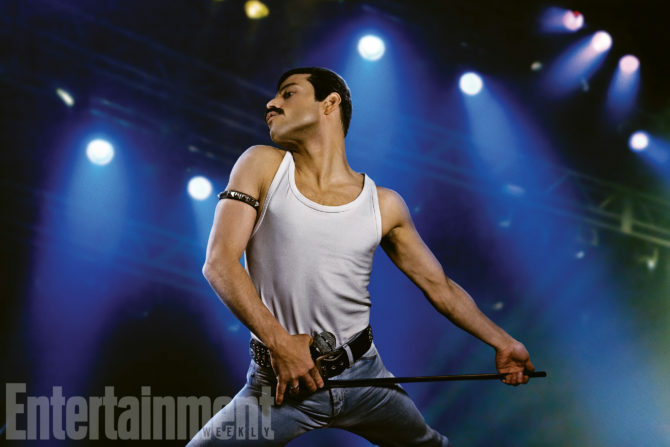 Related: A Freddie Mercury biopic that doesn’t mention AIDS? Really? The script comes from Anthony McCarten, the author of the Stephen Hawking biopic The Theory of Everything. Queen guitarist Brian May and drummer Roger Taylor will serve as music producers. So, they’re gonna treat Freddie as if he were a perfectly stable-minded angel who lived a simple life? And it’s directed by Bryan Singer of all people? Yeah, this will have to get damn good reviews in order for me to bother checking it out. I figured that would be the (basic) response. Kinda walked it that one though. I wouldn’t be surprised if they didn’t mention AIDS at all. I hope Freddie isn’t Bryan Singered. No chest hair? Why not have Keira Knightly play Dolly Parton too? YES! That was the fist thing I noticed too. Give this boy a neck-high merkin! I, for one, am very much looking forward to this film. Are they dubbing in Adam Lambert vocals? They should have had Lambert grow a mustache and get the appropriate haircut, and that would have been a more authentic choice for playing Mercury. I’d bet he would have been great. I’m diehard Adam fan, solo or with Queen, but glad he’s not playing Freddie. First of all, he’s had a few acting gigs and they’ve been great, but too much riding on this for a novice. Not only that, Adam is not big on lot of skin, Freddie was. Adam’s a big guy, 6’1″, broad chested (rumored to have 3 lungs?) Freddie was not. I trust Brian’s and Roger’s discretion. They adore Adam and if they thought it was a good move, he’d be playing the part. As far as wanting to keep Freddie’s image PG-13, no opinion, but I was appalled that Cohen might play the part. Everything he does is overdone and all about him. Glad they parted company.